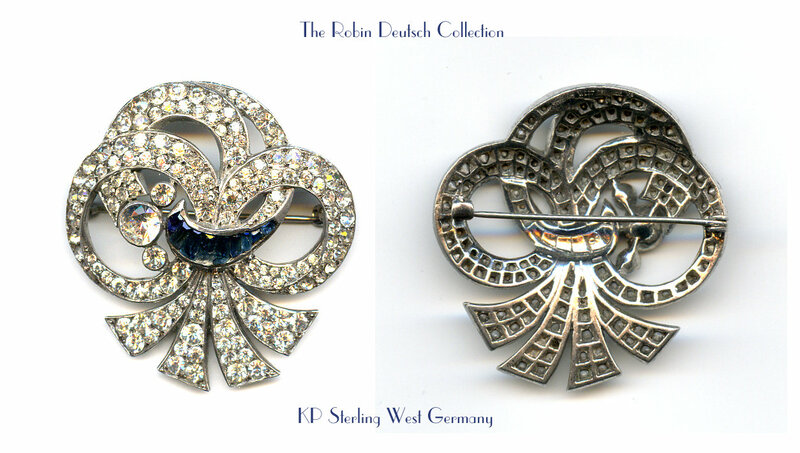 Beautiful post WWII brooch marked Sterling KP West Germany still made with excellent workmanship. Stylized bow motif with channel set blue baguettes. All silver foiled stones are set in open back settings. The clear stones are in gorgeous condition. The blue channel set calibré cut stones have a few chips not noticeable except for under a loupe. One of the few pieces of Post WWII KP I own.